Please cite our work if you use Open3D. Open3D is released under the MIT license. We encourage use for both research and commercial purposes, as long as proper attribution is given. 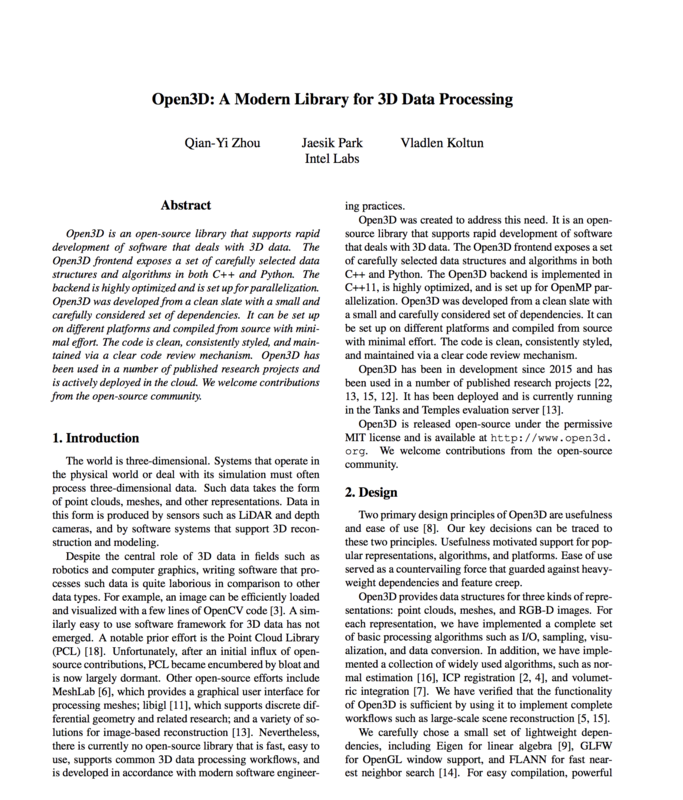 If you use Open3D in published work, please cite our technical report. Feel free to also send us an email and let us know how Open3D has been useful to you and how it can be improved.